How interesting is the focus of this picture! Lovely! 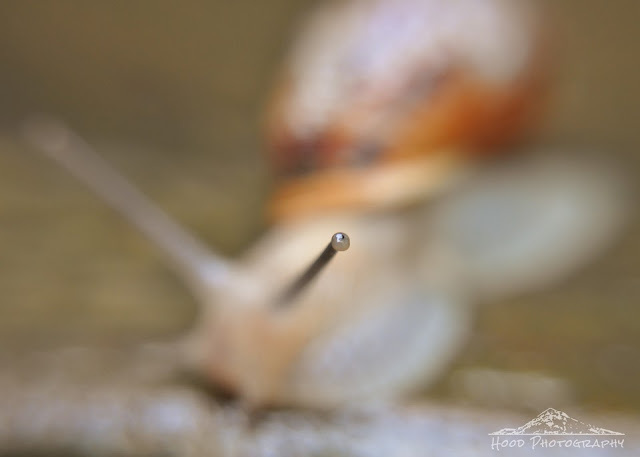 Incredible macro of the "eye" of the snail. And love the bokeh colours. Enchanting photo. Ah, the eye, what does it behold, probably your favorite plant it wants to eat. Cute focus. This is a great shot! Love the focus-point in this one!